There has been a lot of talk about where is Kashipur , I mean sure it’s located in one of the most beautiful destinations of India , Dehradun, Nainital, Bhimtal and of course Jim Corbett is just a stone’s throw distance away from the college, But is it safe to be there? I had the same doubts being a girl I was scared to death about where I was going and whether I would be safe there, how would the people be, how far is the campus, is the hostel adequate, and oh! So many more. My mother was frantic as well, I used to get the call everyday asking- “Are u safe?”, “Is everything alright” “ Is the food good?”, mothers you know. Let me start by saying that I was more than just pleasantly surprised when I reached and was shocked to discover a few other things. Induction is at its last leg, the Directors classes are getting over and then out of nowhere he does the single most amazing thing. On the blackboard he writes down his phone number and asks everyone to note it down and specifically gives another number which is on him always and says “this number is for all the ladies in the auditorium, only the closest family members have this number now you do to, call me if you need anything any time.” Imagine the director of an IIM giving you his number I thought nope it does not get better than this. Pleasantly surprised again, hostel rooms all single for girls, a whole block filled with girls and boys, separate floors for the girls where even the people to clean the dorms are all women. Could you ask for more? Electricity, water, internet has never been a problem (which was a complete shocker being from Mumbai it’s crazy not to have the want for one). The food student run mess definitely has its plus points. We choose our own menu and the best part of it all if you fall ill you can ask them for anything and they will make it. There is a taekwondo teacher who comes to teach us and the director joining, the seniors taking us out for jogs in the morning the eating out with them every Friday, all of it, crazy it is. 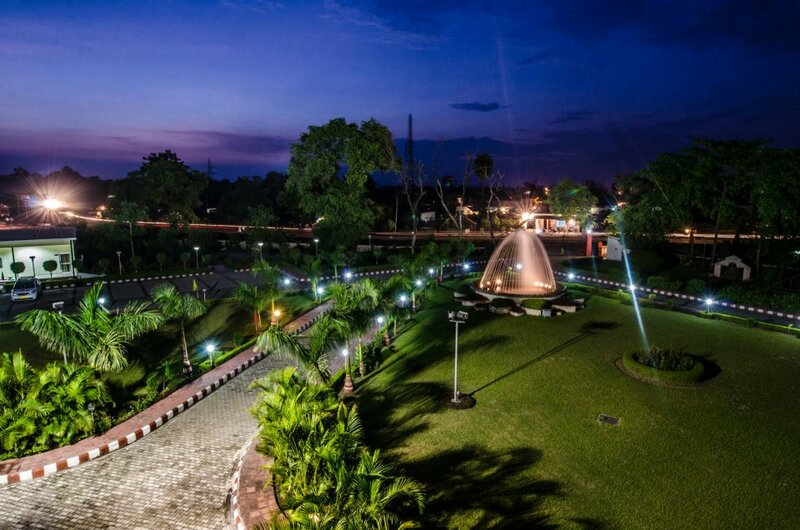 Eagerly waiting to get back to our new campus- IIM Kashipur.